Lung cancer rates among UK women have reached record levels, according to new figures. Over 20,000 women are being diagnosed every year - an increase of over a fifth during the past 20 years. Cancer Research UK, the author of the new study, said the high volumes are a consequence of the 1970s decade when smoking among British women was at its most prevalent. Men, conversely, smoked most during the 1940s, a decade when comparatively few females adopted the habit. 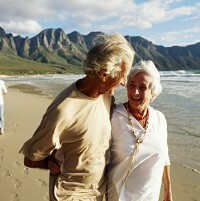 Lung cancer need not be a barrier to patients going on an often much-needed holiday. They can get peace of mind so that they can concentrate on enjoying themselves by booking trusted cancer travel insurance. This ensures that patients can get round-the-clock emergency assistance. Cancer Research UK's communication manager for senior science, Nell Barrie, said it is key to not let up the fight against Britain's largest cancer killer. She called on the NHS and Government to offer smokers more services to help them quit. Caroline Dive, of the Cancer Research UK-operated UK Manchester Institute, which published the figures, called the increase in diagnoses "devastating", especially as survival rates are low. Prof Dive said that late diagnoses after the disease has spread, by which time it is extremely hard to treat, add to the problem. One of the projects Cancer Research UK is most hopeful about involves magnets. The charity's lung cancer research spend has doubled over the last year. Part of this investment has gone towards funding a magnet-based high-tech biopsy. The test helps track the disease's spread, something that has been "very challenging" in the past, according to Prof Dive. She said that the magnets capture defective blood-based cancer cells, offering key data on the disease's biology. It is hoped that this technique could result in improved methods of treating sufferers. This test is being publicly showcased at the Summer Science Exhibition by the London-based Royal Society.